Hi, where can i take bus heading banting in KL? You can go to Puduraya to use Cityliner bus to Banting. You may need to transit at Klang. saya menetap di pangsapuri ken rimba seksyen 16 berhampiran dengan laluan utama padang jawa ke sungai rasah dan saya bekerja di shah alam (pusat bandar). ada x perkhidmatan bas ke pangsapuri tersebut?berapa harga tiket?urgent..trm ksh.. If i want to go to Pudu raya from Klang, can i take the 710 bus? You can use Cityliner bus near Bus station at Jalan Batu Tiga. 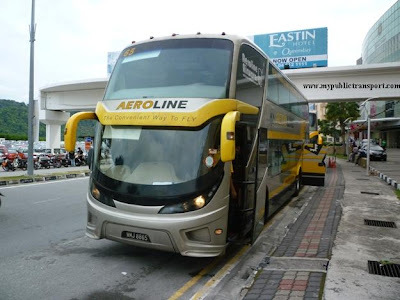 what is the last bus schedule for cityliner from kota raya petaling street to Klang . 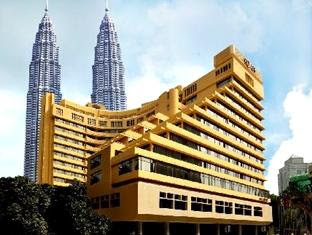 Puduraya is at KL, which part of KL you want to go? You need to use express bus to Klang or Kuala Lumpur, then use Cityliner 127 to Banting. cityliner 127 to banting from klang central @ bandar klang? No. It is from Klang north bus terminal. klang central and klang north bus terminal is same ? Klang sentral is for express bus while Klang north is for local bus. Some express bus from JB will stop at both places while some will stop at Klang sentral only. You can use RapidKL U90 between them. have any bus from shah alam to banting? No. You need to transit at Klang. if i at i-city ,can i take bus at Sham Alam Skesyen 7, Persiaran Permai bus stop,to klang? the klang bus stop (to banting) ,Whether near mydin? Yes you can use Seranas bus 9A to Klang bus station, from there you will see cityliner bus to Banting. which cityline bus should i take? Hi, if i would like to go morib from kl, which bus should i take? is it cityliner? did i nid to change bus in between?cityliner is inside puduraya now rite? You need to use taxi from Morib to Banting, then use Cityliner 126 to Klang, last use Seranas, CausewayLink and other buses to KL. Those buses move out from puduraya and you can find them near Pasar Seni LRT station. actually i wan to go banting from kl, so may i know which bus i can take? No. You need to transit at Banting. And those cityliner buses are operating in small scale now, you may find it hard to get the bus. 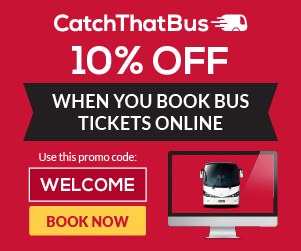 Is there any way i can get the bus timetable? 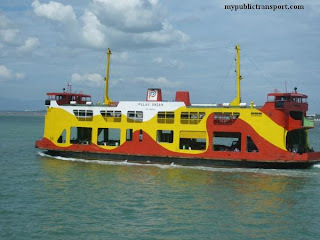 meaning that i need to take a bus from kl to klang the only take cityliner 126 to banting and take a taxi to morib? estimated how long will i took to get to morib? very confusing now. sorry for alot of question. No the bus don't go to Sungai Besi. There is no timetable for this. Even bus 126 comes with very low frequency now. You need to use bus from KL to Klang, Klang to Banting, then only taxi to Morib. You should be needed 2 hours to reach your destination. The easiest way is use taxi directly from Klang KTM station, then you can save more times. so is the bus from banting to kl will stop in puduraya? will there be any bus going to sg besi, or maybe jalan chan sow lin? i need to stop somewhere around that area. To exact is Klang to KL (because is route 126 from Banting to Klang, then you use others from Klang to KL), the bus will stop at Pasar Seni, you can then use RapidKL U41 to Jalan Chan Sow Lin and Sungai Besi. To save your time, I suggest you the following route, use taxi from Banting to nearest KTM station and use KTM to Kuala Lumpur station, then go opposite for RapidKL U41 at Pasar Seni. What bus should i take from Jalan Meru Klang to KL? You need to use RapidKL U90 from Jalan Meru to Shah Alam bus terminal, then use RapidKL U80 to KL. there isn't any direct bus from Jln Meru to KL? is there any bus at puduraya heading to banting? can i know the easiest route from ukm to banting by public transport? Thanks..
You can use KTM from UKM to Klang (Transit at KL Sentral), then walk from the Klang KTM station to Klang north bus station and use Cityliner 127 to Banting. ade x bas lalu between UITM and Seksyen 16?? You need to use RapidKL U80 or T602 to Shah Alam bus terminal, then use T529 to Seksyen 16. No direct bus from Banting to Putrajaya. It should be about 6.30am if no traffic jam. dari klang ke kuala selangor, pukul bape bas beroperasi hingga malam ke? Last Stop untuk Bas Cityliner dari Banting adalah dekat Pasar Seni atau Pudu Sentral. Berapa lama tempoh perjalanan ia? Most probably you need to transfer bus at KLang. The journey can be near 2 hours. Cityliner bus stop near Pasar Seni and Pudu Sentral. im going to The Palm Apartment Persiaran Bukit Raja from KOta Raya? is Cityliner bus 211A is passing The Palm Apartment Persiaran Bukit Raja? where will get 211ACityliner bus from Kota Raya? From Kota Raya you need to go to Pasar Seni for Wawasan Sutera or Causeway Link bus to Klang, then only go to Batu Tiga Bus Terminal near Klang for Cityliner 211A. This Cityliner 211A service is very limited so you may have to use taxi from Klang to Bukit Raja. Hi, please to guide me how to go Morib Gold Coast from Pudu Raya by public transport. Is there any direct bus to there? You need to use bus to klang(Causeway Link 58k, Seranas 99, Cityliner 710), then use taxi to Morib Gold Coast. Hi, is there any bus from htar klang to ktm station klang or bus from mydin klang to ktm klang? Thanks. You can use Cityliner bus that start with the number 4xx from HTAR to place near to Klang bridge, then walk to the KTM station. You can walk from Mydin Klang to KTM Klang. 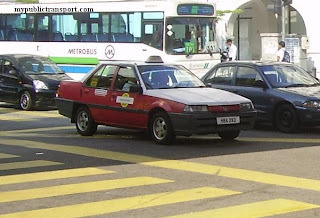 I suggest you to use taxi because you need to change 4 buses if you use the bus. The bus departs from Klang bus terminal to KL and will passby Mid Valley. It will not stop at University station. The earliest bus is 5am and last bus is 11pm. How to go to LCCT from HTAR? You need to use Cityliner 400 to Klang bus station, then use KTM to KL Sentral. From KL Sentral, you can choose to use Skybus or KLIA Transit to LCCT. have any bus go one utama from kbu university?? Hi, no bus goes to KBU. You need to use taxi from 1Utama to KBU. hi, nak tanya, ada tak bas dari CIAST ke Kompleks PKNS shah alam? hi, nak tanya lagi, , ada x bas dari CIAST ke Stadium Shah lama seksyen 13? 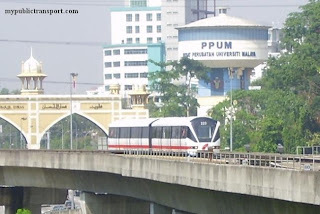 Once you reach PKNS Complex, use RapidkL U605 to Stadium Shah Alam. Hi, i want to ask..if im from klang and want to go to kl..but i want to stop at lrt station (university). Where should i stop? You need to use taxi to Klang bus station, then use bus from Klang to KL (Causeway Link, Seranas, Cityliner), then use taxi to Duta bus terminal. Only RapidKL U618 goes to Duta bus station but you need to use it from Titiwangsa Monorail Station. Hi..is there any bus from mid valley to klang?if any,do i need to cross the road or what? Yes you can cross over the Federal Highway for the bus from Mid Valley to Klang such as Seranas, Causeway Link and Cityliner. saya nak tanye pukul berapa bus kl-banting gerak pada belah ptg n mlm? and how many trip? Hey..~ how do i get to banting from midvalley? urgent. Thank you. You need to use RapidkL U91 or Seranas bus from Mid Valley Federal highway to Klang, then use Cityliner from Klang to Banting. Did bus from banting to kl stop at pudu? To be exact the bus from Banting will need you to transfer sometimes at Klang and they all will stop near Pasar Seni. Hi . I got a work in Trend Tower klang . Its OPPOSITE JUSCO BUKIT RAJA . Is there any bus from Klang town ? Yes, you can use Cityliner 211A from Klang town. No. You need to use taxi. hye...i want to go to ktm klang. where should i stop beside st.klang? is there nearest place to walk in to ktm klang? thanks! Normally the bus will stop over the Klang River, you just need to walk over the bridge to reach KTM Klang. The last should be 7.30pm. Hi, you can use RapidKL U90 to Shah Alam bus terminal, then use RapidKL U80 to Bangsar KL. if wan to go to sg pelek, take which bus at pasar seni there?? what time will the bus start to leave? You can use Cityliner 618. The bus starts 6am at the morning. You can use RapidKL U90. The bus comes every 45 minutes. Other than RapidKL U90, is that any bus like Seranas bus go to Jaya jusco bukit raja from Sek7 shah alam?.. Yes bus you need to use Seranas bus 9 to Klang bus station, then use 211A to Jusco Bukit Raja. how can i reach klang central near setia alam from puchong? You need to use RapidKL U60/U69/U70 to KL Sentral, then use RapidkL U80 to Shah Alam bus terminal. Then use RapidkL U90 to Klang Central. You can use Cityliner 157. Hi, is the bus 710 go to Morib or only to klang? cos I want go to Gold Coast Morib from Pudiraya. Hi, it is only reach Klang, you need to use taxi from Klang to Gold Coast. is 710's route from central market to banting? Hi, 710 is still available from Pasar Seni to Klang only. You need to use other bus to Banting from Klang. If i use u12 from Gombak to central market,is it will drop me at the same terminal where i can get 710? U12 will drops you near Lebuh Ampang/Masjid Jamek. You can then walk to Pasar Seni for 710. It just 5 minutes walking distance. Hi..i wanna use bus from banting to LCCT. Can u tell me how? Hi, you need to use taxi for this. what is the bus schedule for route 710 from pasar seni to banting? 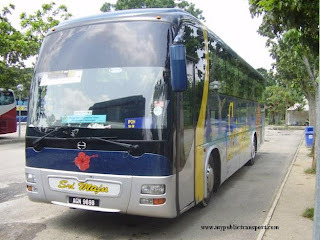 Is there any express bus from banting directly to pasar seni o pudu? No, you need to transit at Klang. 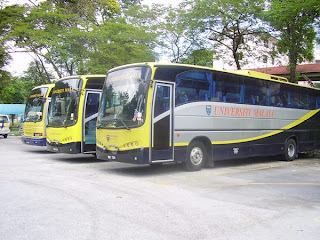 Hi, What bus/buses do I use to go from Port Klang to University Tunku Abdul Rahman in Petaling Jaya? Hi, you can use Seranas 99, Cityliner 710, CausewayLInk 58k or others to Universiti Hospital near Federal Highway, then use RapidKL U85 or Metrobus 12 to UTAR PJ. Im from port klang and i need go to menara trend.. Which bus suppose i have to take?? Please get me back asap.. Tq.. Urgent. Hi, you can use Seranas 99, Causeway Link 58K, or Cityliner 710 and stop near Federal Highway near Bukit Raja. Then you can cross over to Menara Trend. Which bus suppose i have to take i need from petaling jaya near asia jaya lrt station to klang? Please get me back asap.. Tq.. Urgent. You can use Seranas/Wawasan 99, Cityliner 710, Causeway Link58k and RapidKL U91. how much is the cost for the trip from pj to klang? Hi it is about Rm2.50 to Rm 3 depends on which bus you use. Hi, from Asia Jaya, which bus stop should I go to in order to take the bas that goes to Klang? Hi, you can go to Federal Highway and wait at the direction facing to Klang. Is bus 127 passby little india, Jalan Tengku Kelana? which bus i suppose to take from banting to sek13 shah alam..?how much the cost?tq. First you need to take Cityliner bus from Banting to Klang bus station, then take U62 from Klang to Shah ALam bus terminal. Last, take rapidKL U605 to Section 13 Shah Alam. tiada bas dari Banting terus ke KL kena transit di Klang tul ke?. Boleh ke beri no bas dari Banting ke Klang dan Klang ke KL? dan di KL dimana Bas ke Klang bustopnya? Hi, you can take Cityliner 126 or Seranas 8.
how do i get to Hospital Tengku Ampuan Rahimah from around Lembah Pantai? Hi, you can take any bus heading to Kuala Lumpur, then go to Pudu Sentral to take Cityliner 127 to Tengku Ampuan Rahimah Hospital. Hi! Is there bus from KLIA2 to Seremban? What is the departure time of the earliest bus at workday? Thanks! Hi, yes you can take Nilai shuttle to Nilai KTM Station, then take KTM to Seremban, it comes every 2 hours, earliest 8am. The last class bus 710 time is ? The last bus should be around 9.40pm. Hi! I found a route (Seremban > KLIA2) on the website of KLIA2. (http://ppt.cc/iQHs) Is this route only for Seremban to KLIA2 and not for KLIA2 to Seremban? Hi, i think the information in the website is outdated. Hi, it is about 8pm. Hi. How do I get to the Bank of China from Hospital Tengku Ampuan Rahimah (HTAR)? What are my options? Thanks! Hi, you can take Causeway Link 58k, Seranas 99 and others to Pasar Seni, then take LRT to Ampang Park. China Bank is just opposite to the LRT station. I'm sorry I didnt specify my previous comment. I meant the Bank of China in Klang, the one along Persiaran Sultan Ibrahim if I'm not mistaken. Is there any buses that travels along that road from HTAR? You can take Causeway Link 58k, Seranas 99 Cityliner 710, those buses will pass by but I not sure if there is bus stop over there to stop you. Hey! What the last bus time from banting to kl? Hi, it is roughly 7.30pm nowadays. And it is towards Klang only sometimes. Then you need to take other bus to KL. FYI and thank for your help. Hi, you can walk over the Klang bridge. Hi, how can i go from bukit tinggi jusco to usj 10? Is there any bus available? Hi, you can take Cityliner bus 127 to Klang bus station, then take RapidKL U62 to Subang Parade, then take U67 to Usj 10. Hi, you can take Seranas bus 9A. hi, how can i go to kl sentral from banting..
Hi, you can take Cityliner bus from Banting to Klang, then take KTM from Klang to KL Sentral. Hi, how can i go to sime darby auto connexion (ford) pj from apartment vista angkasa? Hi, you can take LRT from Universiti to Taman Jaya, then take RapidkL T505 to Jalan Penchala near Jalan Kilang and walk to Ford. Previously you can take RapidKL U80, U81, U64, U65 to Ford but now most of them not stopping at Federal Highway near Ford. May I know which bus to take to Aeon Bukit Tinggi (Klang) from KL down town , Pasar Seni? any bus from taman meru indah, kapar to kuala lumpur? Hi, you can take RapidKL U90 to Shah Alam bus terminal, then take U80 to KL. bas kuala lumpur ke banting , dari pasar seni ke ?? 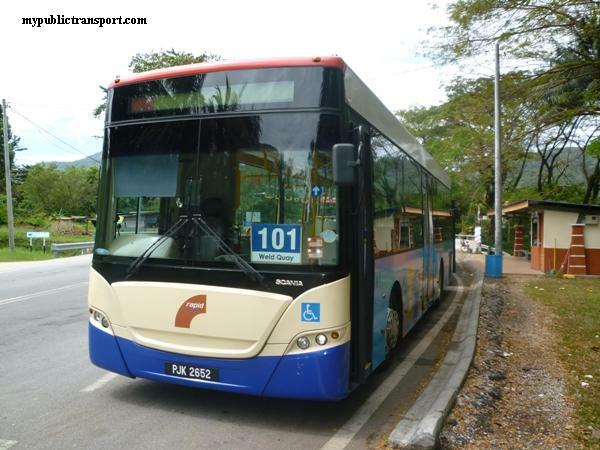 Hi, need to know whether Cityliner still provides bus route from KL to Banting? Need to know urgently. Thanks. Hi, you can take Cityliner 710 to Klang bus station, then take 127 to Banting, sometimes they combine bus from KL to Banting via Klang, but sometimes not. 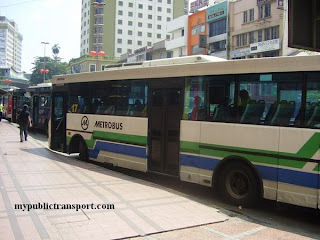 can i take Cityliner 710 in Klang Sentral Bus terminal to go Jenjarom? And where the state of Cityliner bus in KlangSentral bus terminal ? Hi, you can take Cityliner 127 from Klang to Jenjarom, it is not Klang Sentral, but klang bus terminal near the town. how many bus stop have in Klang? As i know, one is old and one is new. The new one is call ''Klang Sentral Bus terminal'' , rite? If i reach Klang Sentral Bus Terminal, means that i can take Cityliner 127 to go Jenjarom ? 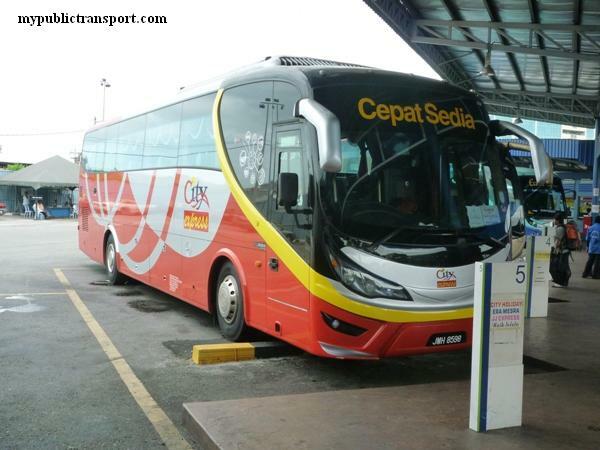 where can i find Cityliner bus in Klang Sentral Bus Terminal ? If i reach the new one klang bus stop, how can i take bus to go the Jenjarom? Hi, you can't find 127 from Klang Sentral, if you are from Klang Sentral, you need to take Seranas bus 19 to Klang bus terminal near Batu Tiga road, then only take 127 to Jenjarom. 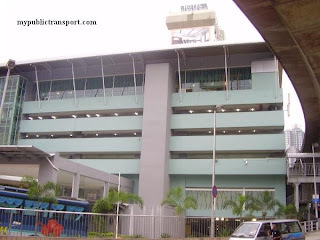 The main bus terminal in Klang are Klang bus terminal near Batu Tiga Road and Klang Sentral. Klang Sentral is far away from town and you need to take Seranas 19 to the town, where most of the buses are depart from Klang bus terminal. I'm going to banting..how to get to banting from kl? Hi, you can take Cityliner 710 from Pasar Seni to Klang, then take 127 to Banting. Sometimes Cityliner will use 710 directly from KL to Banting but sometimes not. Hello, if I take the cityliner from banting to klang, will I arrive at klang sentral or klang bus terminal? How long will it take to reach klang? 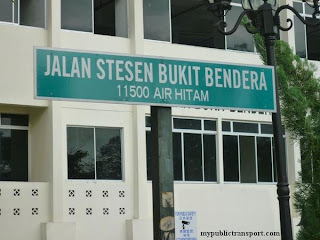 And if klang bus terminal is at batu tiga road, is it near the batu tiga ktm station then? Hi, you will reach Klang bus terminal near Jalan batu tiga. The journey is about 1 hour. It is not the Batu Tiga KTM, it is near to Klang town center. Hi, you can take KTM from KL Sentral to Klang, then cross over Klang river and take Cityliner 211A or Seranas bus to Klang Aeon Bukit Raja. 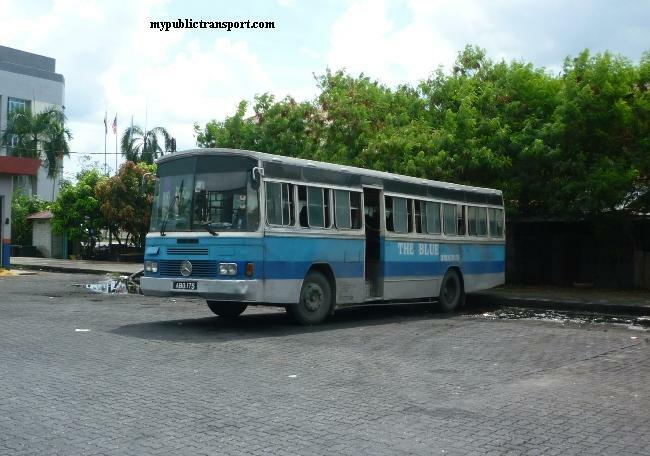 Hi, there use to be Cityliner bus serve between Banting and Sungai Pelek which wlll pass Tanjung Sepat, but I not very sure is that service still there. 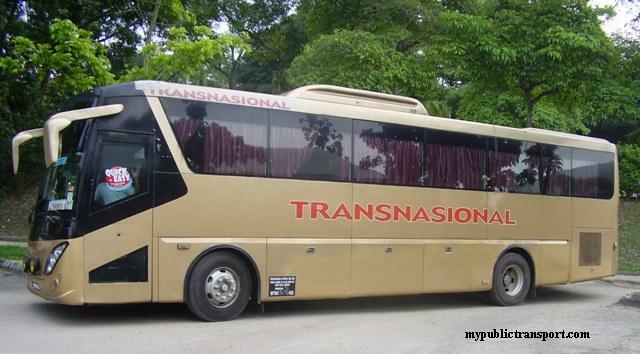 What is the best way of going from Kuala Lumpur to Tanjong Karang by bus? Hi, you got two choices. 1. Take Selangor Bas from Medan Pasar to Kuala Selangor, then use taxi to Tanjong Karang. 2. Take Sabak Bernam Express from KL, and while the bus pass by Tanjong Karang, ask the driver to stop you. can i take cityliner bus at the Federal Highway in front of EPF, Jalan Gasing to go to Klang North? Does bus stop at Klang South/Mara Station? Hi, you can take Cityliner 710, most of the time they will go Klang and then only go to Banting. If they don't want to go to Banting, you can take 126 from Klang to Banting. HI, you can take Seranas 99, Causeway Link 58k or Cityliner 126. The last bus is 8pm. 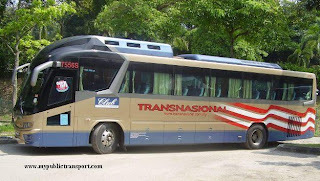 Hi, you can take Cityliner 615 from Sungai Pelek bus station near Tanjong Sepat to KTM NIlai. Hi, you can take KTM from Seremban to Nilai, then take Cityliner 615 to Sungai Pelek, from Sungai Pelek, take taxi or another Cityliner bus to Banting. hi, how can I reach taman meru indah kapar from titiwangsa KL? Hi, you can take Monorail from Titiwangsa to KL Sentral, then take RapidkL U80 to Shah Alam bus terminal. Last, take RapidKL U90 from Shah ALam to Taman Meru Indah. How can i reach kolej komuniti kuala langat from kelantan by bus? There is no bus to kolej komuniti kuala langat, but not sure if the college got provide any shuttle from KL to Banting. Which is the nearest way to kuala langat? From shah alam bus station or klang sentral? Hi, you can take Cityliner 127 from Klang bus terminal, not Klang Sentral or Shah Alam bus station. Hi, you can take RapidkL U69 or Metrobus 20 to Mid Valley, then take Seranas 99 , Causeway Link 58k, or Cityliner 710 to Klang.